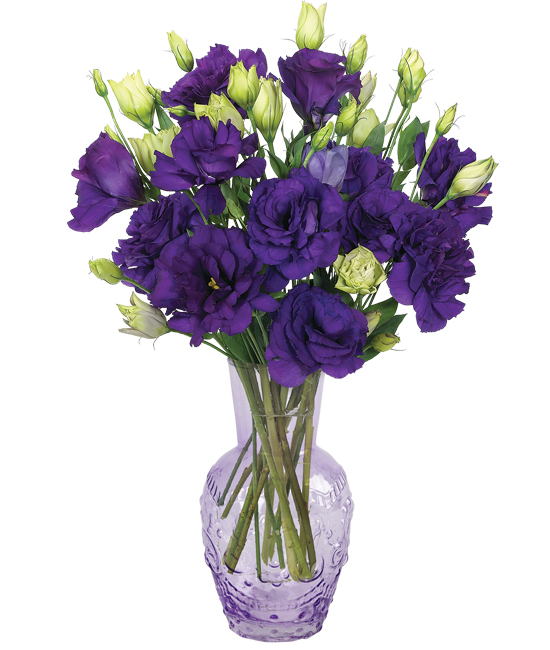 Creamy white when closed tight, the popular lisianthus flower more than surprises when its buds gradually unfurl in a profusion of bright purple. 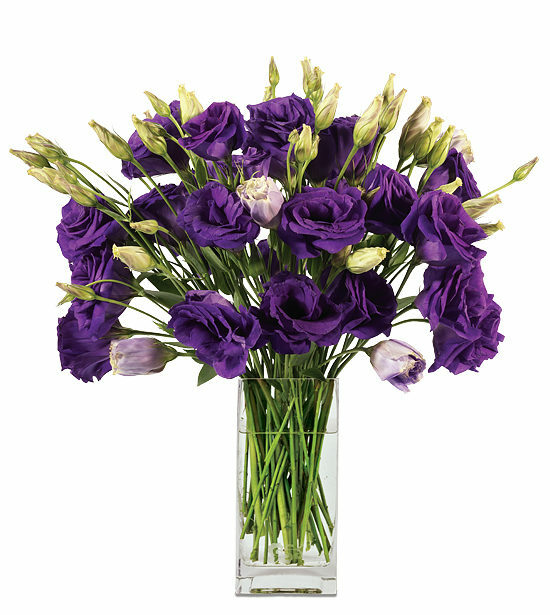 The stems (choose a bouquet of 12 or 24) arrive in bud and bloom so your recipient can delight in watching them deepen in color each day, their big frilly petals taking the shape of a garden rose while enchanting with a delicate ruffly nature all their own. 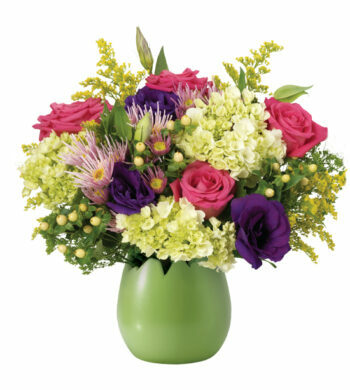 Our petite lavender flourish vase is a great vessel to show off this beautiful bouquet. Remove all foliage that will fall below the water line. Place in an area with indirect light to avoid leaf burn. Never place your bouquet in full sunlight as it will shorten its life. We recommend cutting all stems underwater for best blooming results. 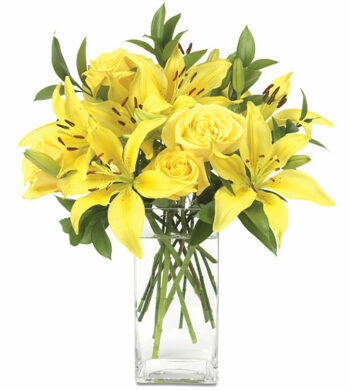 Remove any spent blossoms, recut stems and change water every 2 to 3 days.